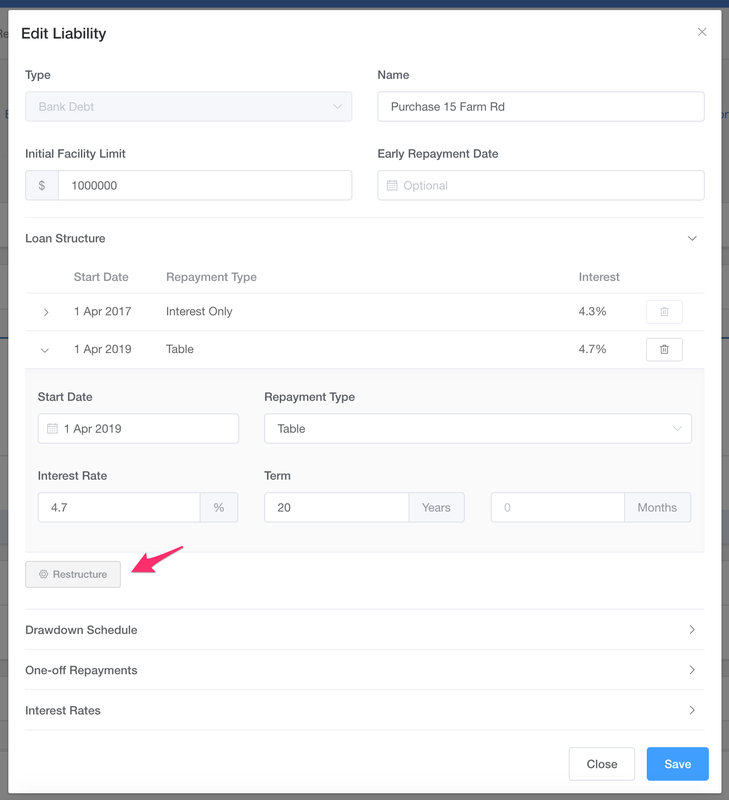 If your loans have a number of different parts - interest only for the first two years, and a table loan for the remainder with a changing interest rate to boot - then you can use the scenario tools built-in loan restructuring to flesh out the many pieces. To restructure the loan you'll just need to first add in your loan as normal - once that's done, click Restructure and choose the start date, repayment date, interest rate, and term. You can restructure as many times as you need for the duration of your scenario. You can delete any part of the loan structure as you see fit - but you will not be able to restore this once deleted. Check out our other articles on using the scenario planning tool on Figured.